The Central West Steering Committee has been discussing the land uses and transportation options for the Central West Focus Area. For a summary of the Committee’s draft decisions, please see the map below. 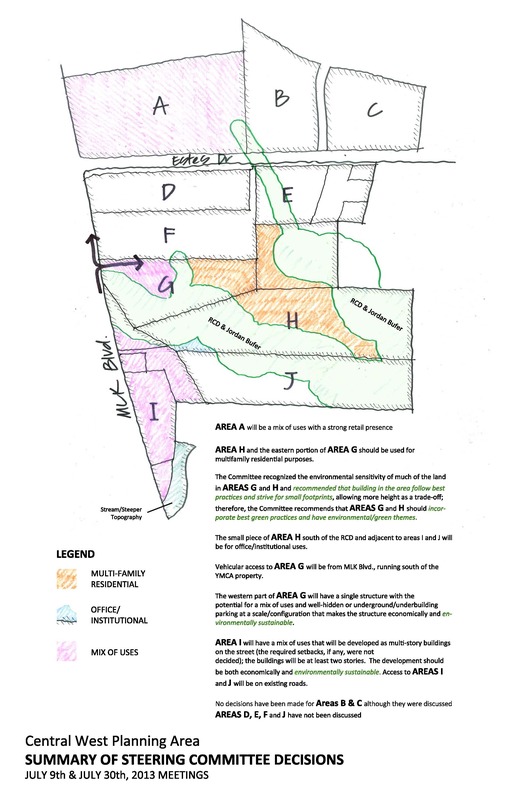 This map includes the draft decisions made during the July 9th and July 30th Steering Committee meetings. A map will be posted soon that includes the draft decisions from the August 7th meeting. For a copy of this map, please click here. The next step in the process will be for the Town staff and consultants to analyze this information and provide data about the area. The information from the analysis will be presented during the August 19th and August 29th Steering Committee meetings.